There’s nothing like love for the second time around… or the third… or the fourth. Okay, so it actually doesn’t matter how many times you’ve fallen in love. But one thing’s for sure – falling in love each time can be a lot like the first time, regardless of age. 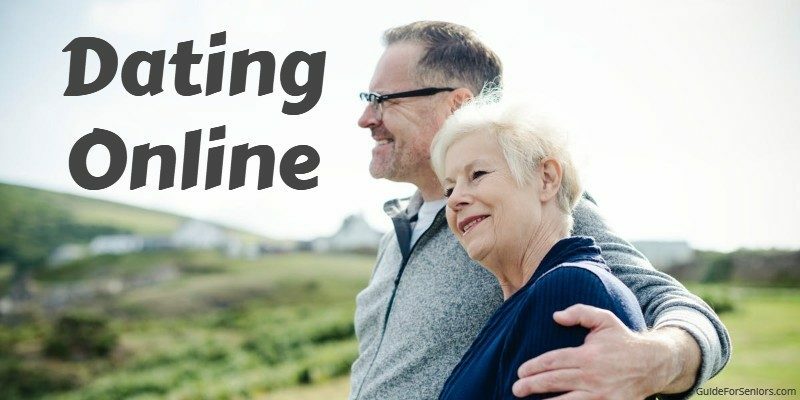 On line dating is the “scene” today, for those young and for those a bit older. These dating profile tips will help you sail the online seas with confidence. Today the dating scene has shifted from what it used to be. In the past two people would meet for the first time in person (say, introduced by a common friend), exchange telephone calls and letters and have a couple more dates. Over time the friendship might bloom into a romantic relationship. But with the advent of online dating, this gradual evolution of relationship has really accelerated. Two people meet online, engage in e-conversation, and then perhaps meet in person for the first time. This usually leads to two scenarios: either they realize that the chemistry they had online is explosive or they realize they’ve perhaps made a mistake. There is a growing number of adults over 50 in the online dating scene. You can go to a “general” dating site such as Match.com; although many older adults go to certain niche online dating sites such as eHarmony – Senior Dating, SeniorPeopleMeet, and Dating For Seniors. Dating norms have changed over time, as have people. It’s a vast world out there, and the online dating community is growing every day. For every naturally kind-hearted, genuine person seeking friends or relationships in the world wide web, unfortunately, there are a few that use this social media as a means to take advantage of unsuspecting people. Do post a great, recent photograph of yourself. First impressions last (or so they say), so you always want to look your best. Post a nice, recent photo of yourself. Posting a profile image actually increases your chances of getting contacted. Don’t know how to upload an image? Most sites have a way of coaching you through this. Do write something in your profile description. People want to know something interesting. Tell a little about yourself, but refrain from writing as if you’re penning a CV. Mention things you enjoy: your hobbies, your favorite foods, maybe even something a little quirky. Do be honest when you’re talking about yourself. It’s easy to get caught up in an online persona. If you don’t like cooking, it would be better to admit that then to say that you enjoy it. If you are completely untruthful, you may attract a mix of individuals who are not at all what you want. By being truthful your bio may attract people that you could possibly connect with. Do make sure you aren’t talking to a fraud. There’s actually a word for this: “catfishing.” Due to the anonymity that can be achieved through online correspondence, some people will take on an alternative identity to fool the person they’re talking with. Perhaps you meet a person online who appears to be attractive and who has an interesting biography. The two of you become online friends, but in reality, that person looks nothing like their profile picture, and their biography is fabricated. You’ve officially been “catfished” — or, rather, “lured” into believing a false identity. It is hard to identify these people so rely on your impressions. If it does not feel right, there is a good chance it is not right. Do respect yourself. Just because someone talks to you, that doesn’t mean you have to respond. You may politely decline, but typically speaking, if you aren’t interested then you don’t have to pretend. If someone is harassing you online, sending multiple messages and not “taking the hint”, then you may report that person to the site’s officials. Don’t be afraid to stand up for yourself, even if it’s online. Do not disclose any personal information on your profile or to suspicious people. In particular, do not give out your phone number, address, or your personal e-mail. Not everyone in the Internet world has the best intentions, and you don’t want to wind up with your heart fooled or your identity stolen. Do not post a picture with any clues to your residence or place of business. This is an often overlooked facet of online dating. People will post pictures of themselves in front of their houses, or next to their mailbox, or near a particularly unique piece of yard art — never realizing that this can reveal their residence. A person with nefarious intent can put puzzle pieces together. For example, Sierra’s location is Atlanta, Georgia. In her bio says she works at The Atlanta-Journal Constitution. She posts a picture of herself and her dog at a well-known park. She posts another picture of her in front of her house — her address letters easily displayed. Even an inexperienced online predator can deduce from this information a fairly precise location. Instead, post pictures that are neutral or don’t have any significant surroundings involved. Do not give any money. Scams are one of the downsides of the internet. So as much as you’re protecting your heart, you need to protect your pocket too. Don’t be easily seduced by charm. If someone asks you to give them money so they can travel across the country to meet you, it’s best to decline. If someone starts to ask you for money out of pity or charity, you’re most likely talking to a scammer. It does pay to be a little extra cautious. If meeting in person, do not meet in a private place. Better to meet in a public place with plenty of lighting and people around. A coffee shop during the day is usually a safe bet. This is a smarter alternative than meeting for the first time at an out of the way restaurant or a private residence. Do not be afraid to walk away. If you don’t feel comfortable or the person you met online isn’t the same person you’re seeing in front of you, don’t be afraid to walk away from the situation. You may also report this person to the dating website as a false identity and most sites will then remove their profile, thus blocking them from using the site again. Online dating can be a fun, great way to meet people. For all you know, the “one” is just a conversation away, but that doesn’t mean to be off your guard. Enjoy yourself and perhaps you will find that person who is right for you. Whatever happens, do not let any unfortunate encounters destroy what could be a great adventure. Remember, he or she is also looking for you. Be cautious but also be ready to find the right one. These dating profile tips will help you decide what to put online and what not to. Online dating for seniors has come a long way. You probably know one or several seniors who could not be deterred and found the right person from dating online. Browse Guide For Seniors for more information of interest to you and the Senior community.